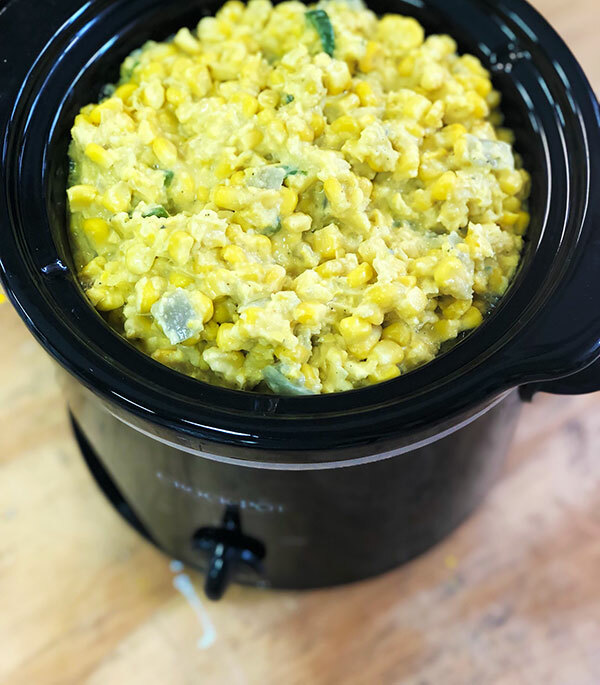 Whether you are grilling during the summer or setting the table during the holidays, creamed corn usually makes an appearance on the table. Usually this is a standard style, but since I like everything on the spicy side I took it to another level with my recipe. 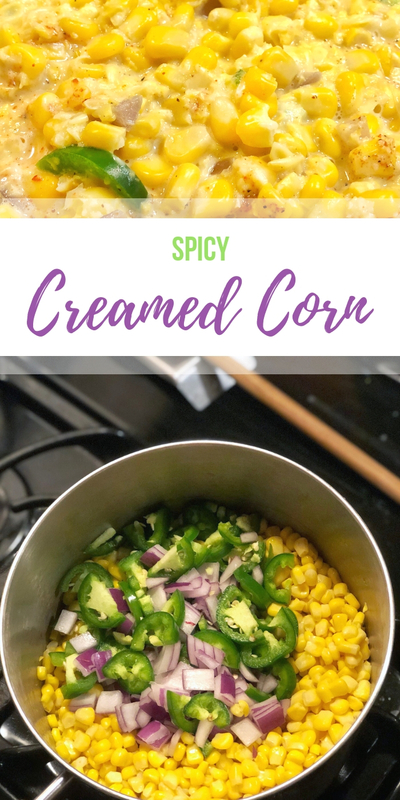 This creamed corn is a twist on the traditional with added jalapeños and a cayenne kick- for those who like some heat! This recipe can be made without hot pepper of course, as the secret is all in the cooking method. Trust me, you will never make it differently after trying this! 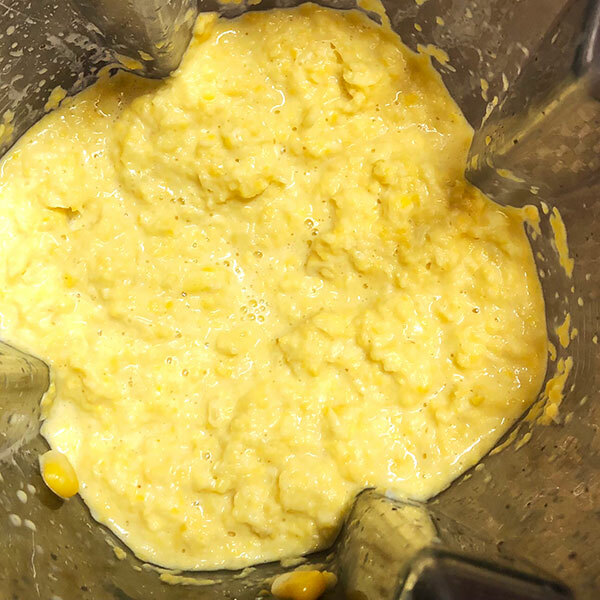 No flour needed here to thicken up your creamed corn. 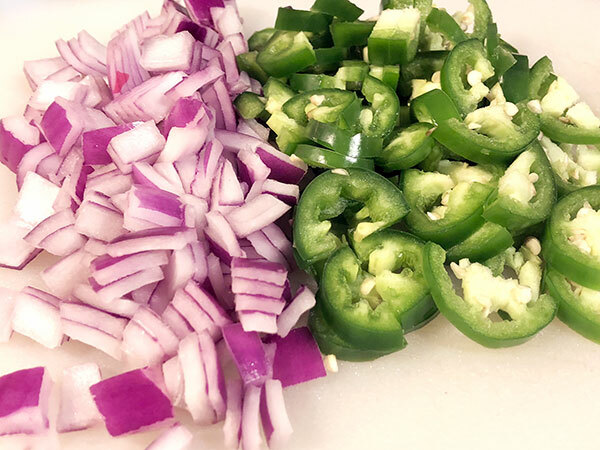 Start by dicing the onion and jalapeños (or peppers of your choice). Set aside for later use. Melt the butter in a skillet and add the corn and milk. Cook for about 10 minutes on medium-high heat. Now remove half from the skillet and add to a blender. Pulse until mostly smooth. Keep the rest of the corn on heat during this time. Add the puree back to the skillet, along with the diced veggies and seasonings. Mix everything together. Continue to cook and slowly add in the heavy cream. Cover and cook another 15 minutes, stirring occasionally. Sprinkle the parmesan cheese in and mix when almost ready, then top it off with a garnish of parsley. Remove from heat and serve! 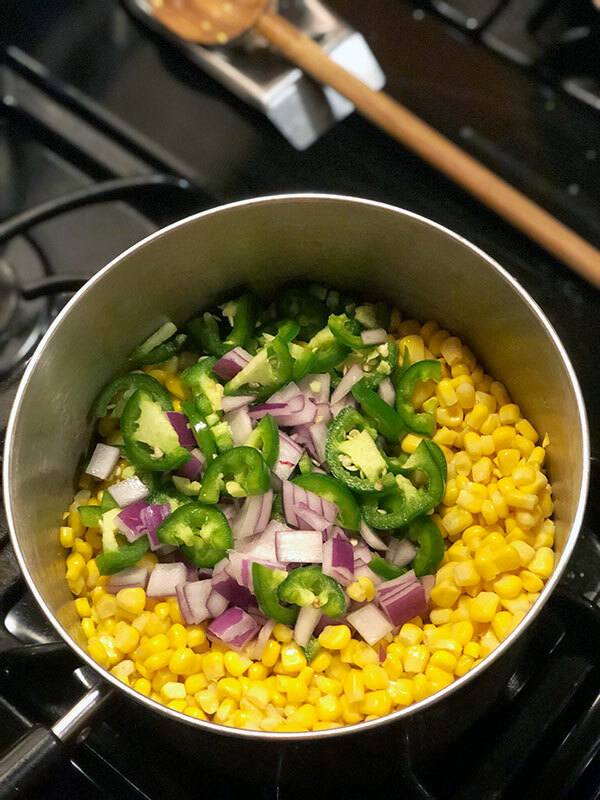 Creamed corn with jalapeños and a cayenne kick. Dice the onion and jalapeños. Set aside. Melt butter in a skillet and add the corn and milk. Cook for about 10 minutes on medium-high heat. Remove half and add to a blender. Pulse until mostly smooth. Add the puree back to the rest of the corn in the skillet, along with the veggies and seasonings. Continue to cook and slowly add in the heavy cream. Cover and cook another 15 minutes, stirring occasionally. Sprinkle the parmesan cheese in and mix. Garnish with parsley. Remove from heat and serve! 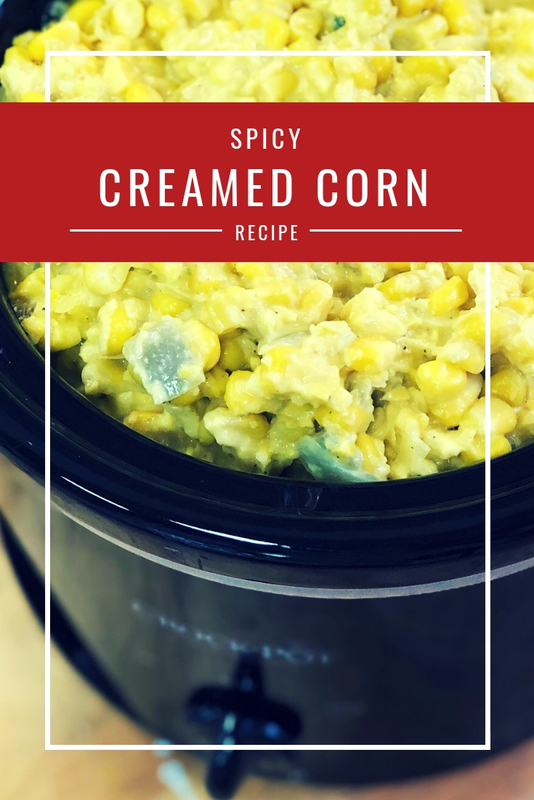 Most people think the secret to creamed corn is the cream, but not so! It is actually in blending up some of the corn itself. 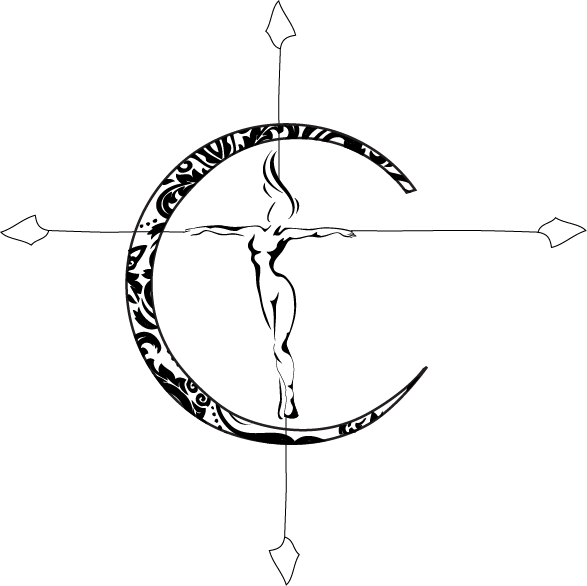 This creates a thicker consistency with all the right flavors. 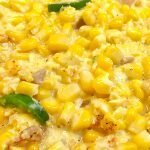 I will probably never make creamed corn any other way again! I also re-heated this in a crockpot just fine the next day!